CHECK OUT THE WEBSITE OF MAJOR GEORGE FILER'S USAF, RET. 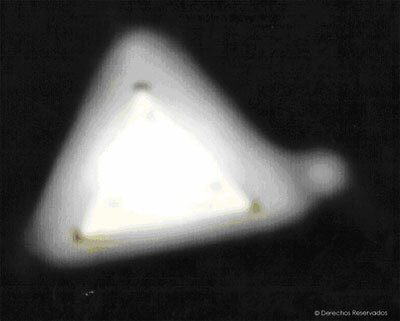 Transcript of the Interview by Willie Durand Urbina and Jose A. Martinez Echevarria with the witness to the triangular UFO seen on May 15, 2005 at 12:16 a.m.
Willie: Hi Wilfredo, please tell us the experience you had when you left work. Wilfredo: Well, it was one night when I left work at around 12 midnight. I was in the town of Carolina near the Los Angeles development, on an avenue exactly facing the airport and beyond Baldorioty [de Castro Avenue], or exactly behind Baldorioty. Then I saw a glow that came from behind a hill and thought it was strange. Willie: There's a hill there? Wilfredo: That's right, in the rear. That's when I heard the dogs barking, the birds singing and I saw the animals were becoming desperate. I was frightened. What could it be? Then when I looked behind me, I saw a great, very large glow. But I couldn't see the craft because I was inside the van. I pulled the van over and got out -- that's when I saw an immense triangular object. I can't give you the exact measurments, can't describe it in meters, but I can tell you [and compare it] to the size of a ball park or two enormous ball parks. It was going very slowly and passed directly over me. Willie: Was it making any noise in particular? Wilfriedo: None. No sound, just a light coming out of the middle. Willie: Did you feel any heat, atmospheric changes, or temperature [changes] as the object went by? Willie: Did other cars stop as the UFO flew overhead? Wilfredo: Yes, there were some 3 cars but quite far from where I was. When the UFO went away, my van started up just fine. I even found it strange that the airport was under [the object's path] and its lights also went out. There must be more people there who saw the object, too. After passing over the airport it went higher and vanished into the sky at high speed. Willie: Did you see any airplanes at the sighting spot or near it, in the vicinity of the sky? Wilfredo: I didn't see any other airplanes flying over the area. It was also cloudy. In fact [as the object rose] it was possible to see the clouds very well lit by the object as it ascended. It was so immense that the glow continued lighting up more and more clouds. I looked at this and thought "wow!" Willie: And it lit up the area you were at? Wilfredo: Yes, it all looked like noon. It was incredible. "Senate pressured to hold hearings on ET"
Mexico City - Mexican air force pilots filmed 11 unidentified flying objects in the skies over southern Campeche state, a Defence Department spokesman confirmed Tuesday. A videotape made widely available to the news media Tuesday shows the bright objects, some sharp points of light and others like large headlights, moving rapidly in what appears to be a late-evening sky. The lights were filmed March 5 by pilots using infrared equipment. They appeared to be flying at an altitude of about 3,500 metres and allegedly surrounded the air force jet as it conducted routine anti-drug trafficking vigilance in Campeche. Only three of the objects showed up on the plane's radar. This footage is a fraction of the thousands of photographs and videos taken of nighttime and daylight disks also observed by citizens in the skies over Mexico since 1991 - easily the largest "flap" of sightings in the modern era. Naturally, these sightings were dismissed by U.S. media, often by reasoning which could be construed as xenophobic and racist. It is important that Members of Congress see this release of evidence by the defense department of a foreign country as a "shot across the bow" of the United States demonstrating a growing impatience with the U.S. embargo on the truth of the extraterrestrial presence. There have been others. In November of 2002 the United Kingdom's Ministry of Defence made a substantial release of previously classified documents relating to the extraordinary events at Bentwaters Air Force Base near Rendlesham Forest in 1980. In July of 1999 a "non-governmental" committee (COMETA), notably composed of former French military and agency officials, released a two-year study, the COMETA Report, which among other things, clearly indicated the likelihood of an extraterrestrial explanation for the world wide sightings and chastised the United States government for its obdurate and unenlightened position on the matter. Other nations are losing patience with the U.S. led truth embargo. One of them is going to break ranks and end this embargo and take this legacy for itself. The United States Congress is doing absolutely nothing to assert its prerogatives in a matter of extreme national significance. It will be permanently damaged if it does not take action - NOW. The government imposed embargo on the truth of an extraterrestrial presence will and must end. X-PPAC stands ready to assist Members and their staff to engage the "politics of disclosure." Stan Friedman, physicist, regarding ETs and ETVs in Mexico. Joining me now Stanton Friedman, a nuclear physicist, pioneer in the field of ufology. His forthcoming book is called "Flying Saucers and Science." 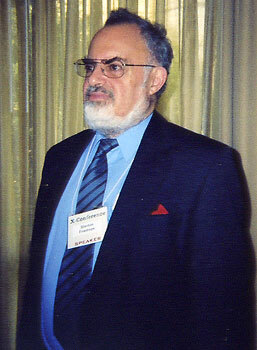 STANTON T. FRIEDMAN, AUTHOR, "FLYING SAUCERS AND SCIENCE." F-117-A. Do you buy that? FRIEDMAN: No, I don't buy it at all. in Iraq is what we'd be doing. there any natural earthbound explanations for this? space debris, meteorites. It makes no sense. perhaps the real sightings in the last 57 years? FRIEDMAN: Well, it ranks high because of the source of the information. real break with past practice in North America by military persons. history of the world and I'm asking you a philosophical question. these look like "drive-by aliens?" very wary of these characters here. on the White House lawn either. declare that they are here. Well, we'll follow this one. 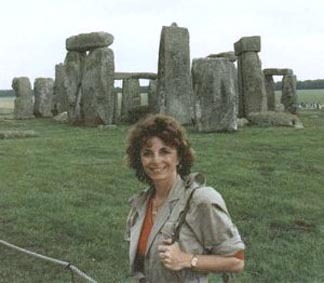 World renowned scientist and researcher, Linda Moulton Howe in an interview with Jaime Mousson asked if the Mexican government had had contact with the US government about the ETVs over the State of Campeche.You would think the Mexican government would want to confirm it was not American advanced stealth aircraft flying over Mexico. But, the answer was that when the objects in the sky are on the radar screens and cannot be seen with the eyes, the Mexican Air Force did not think that even the US has the technology to render their planes invisible! Evidence of an International Rift in the Management of UFO's/Extraterrestrial Affairs? On Tuesday, May 11, 2004, an international press conference was held to announce the findings of a joint official and private effort to investigate a UFO sighting. What is remarkable in the press conference is that Department of Defense collaborated with a top Mexican UFO researcher, Jaime Maussan, in the release of information concerning the appearance of up to 11 UFO's in the vicinity of a Mexican Air force flight that was on a drug surveillance mission on March 5, 2004. 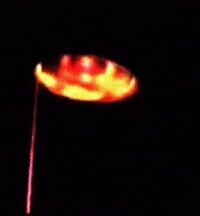 Using infrared cameras and radar tracking, the eight-man crew of the Merlin C26/A flight was able to monitor the UFOs, which at one point formed a circle around the flight. In investigating the incident, the Air force contacted Jaime Maussan and asked him to participate in the inquiry. The release of data on the UFOs taken by a Mexican Air force crew was certainly a coup for Maussan who released the information in the popular television program 'Great Mysteries of the Third Millennium' on May 9, 2004. Maussan was initially contacted on April 20, by the Department of Defense and had a meeting the next day with General Clemente Vega Garcia, Secretary of Defense and his senior officials. The Secretary of Defense went further however than simply informing Maussan of the incident. General Clemente released film and other data of the incident to Maussan that he could investigate with his own independent research team. The Department of Defense confirmed to international media outlets such as Reuters in a May 11 Press Conference that it had handed over the film and data to Maussan. This was certainly unprecedented and signaled a major new approach to dealing with the UFO phenomenon by a major world government. Up to the present time, there appears to have been a well-coordinated international effort in managing UFO sightings and reports of UFO crashes. These have typically been handled in a way suggesting a sophisticated global system for dealing with UFO sightings, and even collecting the remains of crashed UFOs, without witnesses having much credibility before the mass media. This global management system has prevented governmental releases of UFO information to the general public and international media. Whatever releases did occur typically involved private civilians rather than military personnel in their official capacities revealing UFO information. In the US, military personnel have been legally proscribed from participating in the release of information of UFO sightings according to military regulations described in the Joint Army Navy Air Publication (JANAP) 146 released in 1953. Similar provisions are found in the British Ministry of Defense and other major nations that have had to deal with the UFO phenomenon, and/or cooperate closely with the US. This official international system for repressing UFO reports suffered a significant setback in 1999 with the release of a French government supported study of the UFO phenomenon. The COMETA Report comprised former top military officials and found credible evidence to support the existence of UFOs as phenomenon that required serious political attention. The COMETA report was not widely covered in the US but signaled that major nations differed in how much information they should release to their general publics. In December 2002, the British Ministry of Defense released a file on the Rendlesham UFO incident of 1980 describing one of the most well document UFO sightings in British history. Significantly, the US military has not released its own files of the incident despite having played a leading investigatory role at Rendlesham. The respective official positions over the Rendlesham files suggests a clear difference of opinion between the British and US military officials over the extent to which UFO information will be released to the general public and the mass media. The participation of the Mexican Department of Defense in collaborating with Maussan in releasing information on a contemporary UFO sighting is unprecedented. This is a significant development that goes even further than the COMETA report in challenging the non-disclosure position supported by the US government that apparently plays a major role in the international management system in place for UFO sightings/crashes. The Mexican Department of Defense effort in collaborating with Maussan simultaneously achieves a number of things. First, it helps legitimate research into the UFO phenomenon that now has official government support as a credible field of study at least in Mexico. Second, it legitimates the investigatory skills and experiences of private Mexican researchers such as Maussan. Third, it comes at a time of great international friction over the war in Iraq suggesting that this Mexican initiative marks a major rupture in the de facto global management system for UFOs that echoes global dissent over US policies in Iraq. If the COMETA report and the release of the Rendlesham files are solid indicators of the European position towards UFO disclosure, then it appears that the US is becoming increasingly isolated in its strict non-disclosure policy. If indeed there is a major rift in the global management system over the rate and extent to which disclosure of UFOs sightings and/or UFO evidence is made to the general public of major states, then it may be predicted that further disclosures by other governments are likely. It may be concluded that the Mexican Department of Defense collaboration with private UFO researchers heralds a major new phase in the UFO phenomenon. With a more integrated global media and Internet, it will be very difficult if impossible for the mass media in the US to ignore UFO developments in other countries. If major world governments begin disclosing information concerning contemporary UFO sightings, then it may be predicted that the non-disclosure policy in place for over 50 years may soon come to an end. This would usher in the age of exopolitics where the political implications of an extraterrestrial presence would predictably dominate global politics. "Mexico Air Force Video Creates UFO Stir,"
Thank you for your message and your interest on the Mexico UFO activity. You speak wise words and I agree with you. We are in a gentle mood here for those ET crafts that have been very close to our people since the beginning of this amazing wave in July 11, 1991. Yes, I'm convinced that the ET's feel confident and free interacting with us without any danger for them by the military or the government. The spiritual sense of the Mexicans is great and in every heart of each Mexican there is a familiar feeling towards these beautiful beings. The actual conditions here in Mexico are perfect to concert a contact and the Mexicans are ready in mind and consciousness to receive these space brothers anytime. We just hope this contact arrive very soon. One morning in January 1981, Mexican photographer Carlos Diaz pulled into a deserted car park at Ajusco Park near Mexico City. He was on an assignment for a magazine, and had arranged to meet a journalist who was yet to arrive. Diaz sat in his car, preparing his camera for the job ahead. Although it was early in the morning, the air was thick with humidity which made even sitting still uncomfortable. Impatiently, Diaz began to look at his watch. Suddenly, his attention was caught by a strange yellow glow coming from the valley below him. At first he thought it was a forest fire, but, an instant later, the source of light revealed itself to be a large, orange, oval-shaped UFO, slowly hovering about 30 metres from his car. Unable to believe his eyes, Diaz quickly grabbed his camera. With it resting on his steering wheel, he began frantically firing off shots. Then, without warning, the whole car began to shake violently. Diaz got out of the vehicle and took two more photographs before the craft sped up vertically into the sky, leaving Diaz in a state of shock. This encounter marked the beginning of what was to develop into one of he most fascinating and long-running contactee cases in the history of UFOlogy. Today, the case remains among a small minority of alledged extraterrestrial encounters to be supported by verified film documentation that has stood up to the scrutiny of a range of experts. Indeed, the apparent credibility of Diaz's claims has attracted the attention of some of the world's top UFO researchers, including German author Michael Hesemann and abduction researcher Dr John Mack. Both concluded that Diaz's story is completely credible. Hesemann echoes the views of most researchers when he states: 'The Carlos Diaz case is the most important case of documented alien-human contact to have emerged in modern times.' Certainly, at the time of his initial encounter, Diaz little suspected what was to come. The transition from a run-of-the-mill UFO sighting in an area now acknowledged as a UFO hot-spot, to one of the key cases of recent years did not occur until weeks later. In the days that followed this January sighting, Diaz remained preoccupied by his experience. Unable to forget what he had seen, he repeatedly returned to the Ajusco Park location, hoping to secure more pictures. After a succession of fruitless visits, Diaz began to think that he was wasting his time. But then, on 23rd of March, his patience was rewarded. While roaming the greenery, Diaz was again alerted to the presence of a UFO by an orange glow, which he could see only dimly through the fog and rain that had saturated the forest in Ajusco Park. As he climbed up the walls of the valley, he managed to position himself within 45 metres of the object. Diaz watched the 'craft' hovering above him, eminating a bright orange light. It was, he said, dome-shaped with a smooth ring in its centre. This, claimed Diaz, was covered with a number of half spheres, each around one metre in diameter. Crouching behind some rocks, Diaz thought his actions had gone unnoticed, but, as he continued to watch the craft, he felt someone grab his shoulder from behind. Diaz immediately fainted, and, when he awoke, it was dark and the UFO was gone. He was shocked to discover that, despite heavy rain, his clothes were completely dry. At that point, he knew something strange had happened to him. When he returned to his car, Diaz noticed another car parked in front of him. At this point, Diaz claimed, a humanoid entity with fair hair approached him and told him that if he wanted to know more about what he had just experienced, he should return to the same spot at noon the following day. Apparently, when Diaz returned the next day, he discovered the same entity sitting on the grass. Diaz claimed that the being then turned to him and explained that it was he who grabbed his shoulder the previous day. Before leaving, the being also told Diaz that he had come from inside the craft and that Diaz would gradually recover his memory of what had happened while he was unconscious. Sure enough, over the next few months, Diaz's memory returned, piece by piece. According to his account, he recalled the craft hovered directly over his head. As he attempted to touch the craft, his hand seemed to pass through the yellow light and he seemed to merge with it. The next thing he recalled was seeing the craft parked on a platform inside a giant cave. Diaz was filled with awe when he remembered what he had seen inside: 'It was full of stalagmites, some of which were carved into what appeared to be Mayan sculptures,' he stated. 'I saw many people in the cave, some of whom waved to me and, in a state of shock, I waved back.' Apparantly the being Diaz had encountered in the park then led him to a smaller cave which contained seven glowing, egg-shaped orbs, one of which Diaz was invited to step into. On entering, Diaz could at first only see yellow light. But then he found himself surrounded by the image of a forest. 'I could see all the details of the forest as if I was walking through it,' said Diaz. 'I couldn't touch anything, but I could feel the temperature and moisture. I could see and experience everything, yet I wasn't physically there.' His guide then told him that the orbs were also a system for storing information and that certain data had been imparted to him. Diaz was then returned to the ship and, in time, to the park. According to Diaz, this was only the first of a series of contacts with the same beings, which continue to this day. Since 1981, Diaz has stated that his experience inside the orbs has enabled him to 'travel' to different regions of the Earth's ecosystem - forest, desert, jungle, shoreline, even Arctic areas - with his ET contact. Through this contact, Diaz claims to have been imbued with an awareness of the interconnectedness of all life and the need to preserve our environment. To many UFOlogists, especially those who have had their 'fingers burnt' by alledged contactees before, these claims may appear far-fetched. However, Diaz is seen by many researchers as a highly reliable source, not least because of the strong body of photographic evidence he has amassed to support his claims. Another UFO researcher intrigued by Diaz's case is Professor of Psychiatry at Harvard Medical School, John Mack. Mack has a long history of dealing with abductees and contactees and believes that the Diaz case is among the most convincing he has come across. 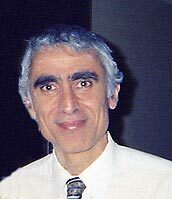 in his book Passport to the Cosmos, he states: 'Out of all the experiencers I have worked with, it is Carlos Diaz who seems to have developed the richest understanding of the interconnected web of nature. Diaz's experience of connecting with living creatures is so intense that he seems literally to become the thing he is describing.' Diaz's experience, Mack claims constitutes an 'awakening', a process which, he says, is common in abductees. Diaz told Mack that his contact with the ETs had instilled in him a need to preserve the environment and the ability to 'enjoy a beautiful planet'. Whether or not an extraterrestrial influence was involved, Diaz's new-found concern for the environment has certainly become a driving force in his life. he has repeatedly and passionately conveyed this environmental warning publicly, most notably at a UFO conference in Dusseldorf, Germany in 1995. Diaz has revealed that he had been informed through his contacts that the civilization of the visiting extraterrestrial, like ours, had been threatened by its own history of destruction, but had somehow managed to survive. He remains convinced that his contacts' disturbing prediction for our future is only too real - a prediction that states with near certainty that humanity, on its current course, is headed for total extinction. This outspokenness, coupled with the public nature of his experience, has le Diaz to assume visionary status in both his home town of Tepoztlan and UFO circles. 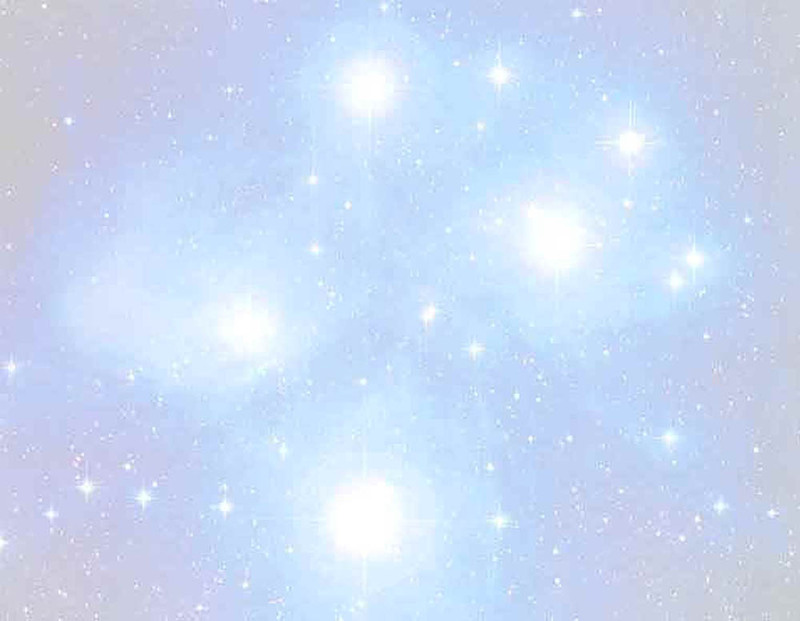 however, Diaz has been quick to dispute this, claiming that he is not a unique visionary, but merely 'a messenger'. The real nature of Diaz's current incarnation aside, for many UFOlogists, the Diaz case remains among the most convincing on record. Indeed, few UFO reports exist that boast such impressive and abundant photographic evidence. And fewer still have emerged that have stood up to the scrutiny applied to Diaz's images. Expert analysis of Carlos Diaz's UFO pictures has been extremely thorough. Mexican UFOlogist Jaime Maussan gave the original transparencies to Professor Victor Quesada at the Polytechnical Institute of the University of Mexico for examination. Quesada stated: 'We were shocked to discover that the spectrum of light from the object was unlike anything we have ever seen, it broke all previous parameters and didn't match anything in our data banks. The light was extraordinarily intense. There was no evidence of superimposition or a hoax. We estimated the object to be around 30 to 50 metres in diameter.' Interestingly, the photographs were also analysed by Dr Robert Nathan at NASA's Jet Propulsion Laboratory in California. Nathan, a notorious UFO sceptic, stated that he could find no evidence of a fake. images, the first shot is the most impressive. experts claim are extremely difficult to fake. Mexican UFOlogist Jaime maussan was so intrigued by Carlos Diaz's account of his experiences that he provided him with a video camera and asked him to see if he could record the UFO on tape when it next appeared. A few weeks later, Diaz awoke at 5 a.m. and grabbed his camera. he walked out and waited. Apparently, within minutes, the craft appeared and hovered over the house, where Diaz filmed it. When Maussan saw the remarkable footage, he asked Diaz if he could get even closer to the craft while filming. Two months later, Diaz was once again able to film the craft, which this time hovered directly above him, without moving. However it is Diaz's third attempt to capture the craft on video that is the most spectacular. In this footage, Diaz having mounted his camera on a tripod, walks to the bottom of a field waving a flash light. Responding to this, the craft suddenly materializes directly above Diaz's head and sends beams of light down towards him. Then, the unidentified object remains motionless for 30 seconds, before blinking out. It is universally recognized that this video contains some of the best UFO footage ever taken. This article originally appeared in issue 89 of The X Factor.